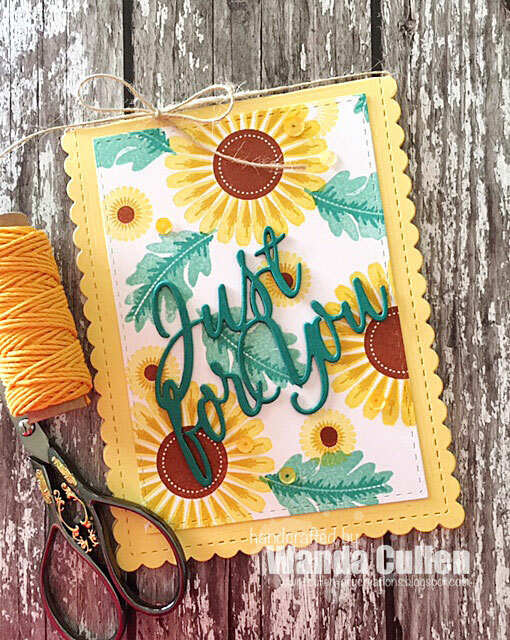 I'm loving my MFT Witch Way Is The Candy stamps and dies and was anxious to play along with the new MFT Wednesday Sketch Challenge! I experimented with using Tim Holtz Distress Oxide inks for the background - blending them with the small circular tools then splattering some water droplets to get a splattered bleach look. I colored the images with Copics and sponged the moon with Fossilized Amber distress oxide ink. 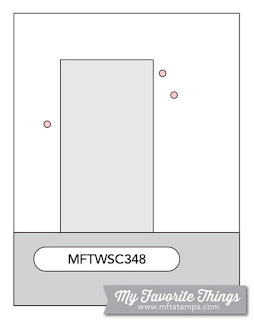 STAMPS: Witch Way Is The Candy (MFT). PAPER: Halloween Basics 6x6 pad by Recollections; Pumpkin Pie (SU), White (PTI), Licorice (MFT); X-Press It Blending Card. INK: Memento Tuxedo Black; Fossilized Amber, Salty Ocean, Wilted Violet and Spiced Marmalade distress oxide inks by Tim Holtz. DIES: Stitched Sentiment Strips by MFT; Stitched Rectangles by Lil' Inker Designs; Witch Way Is The Candy by MFT; Spooky House by MFT; Edge Essentials by Reverse Confetti. Hello everyone! 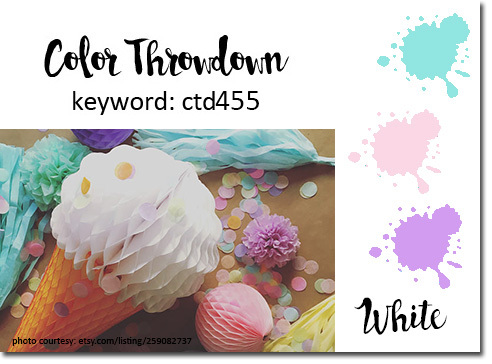 It's Wednesday so that means a new Color Throwdown Challenge is happening! 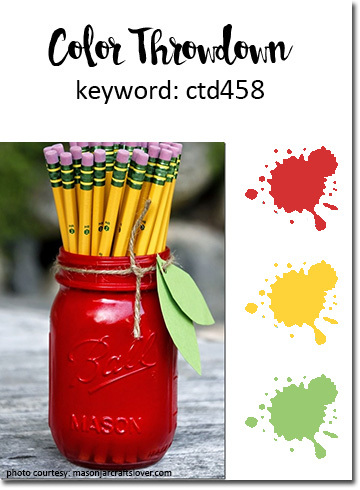 Lynn Put is our hostess this week and has chosen this great set of primary colors with a fun photo that inspired me to go with a school theme. I wanted to say a big THANKS to Sheri Gilson for guesting with us this month! Her cards were all fabulous and it's hard to think this is the last week in the month already. 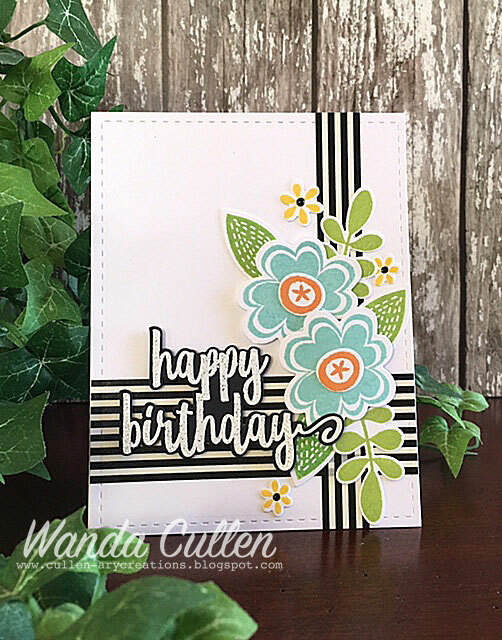 Be sure to stop by her blog and check out her latest card! Congratulations to Michele Greenwood of Whimsical Creations who is our guest star stamper this week! STAMPS: Class Act by Reverse Confetti. 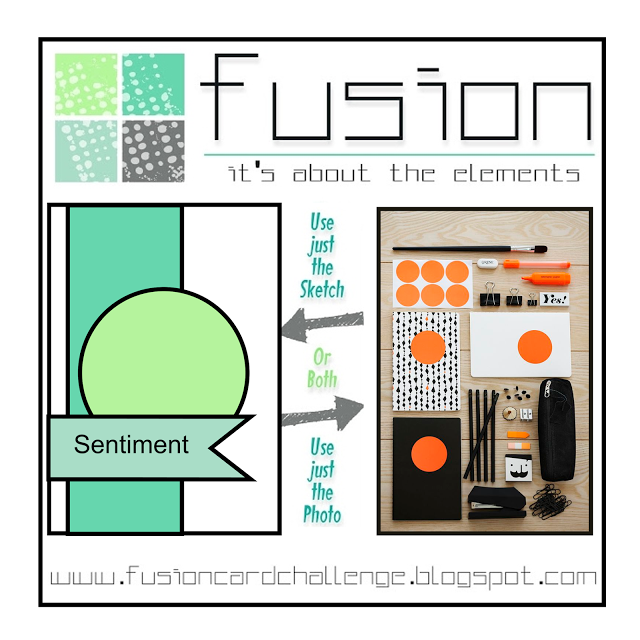 PAPER: Lime Green (Reverse Confetti), Licorice (MFT), White (PTI), Patterned paper by Recollections. INK: Rose, Lime Green, Sand (Reverse Confetti); Versamark; Memento Tuxedo Black. 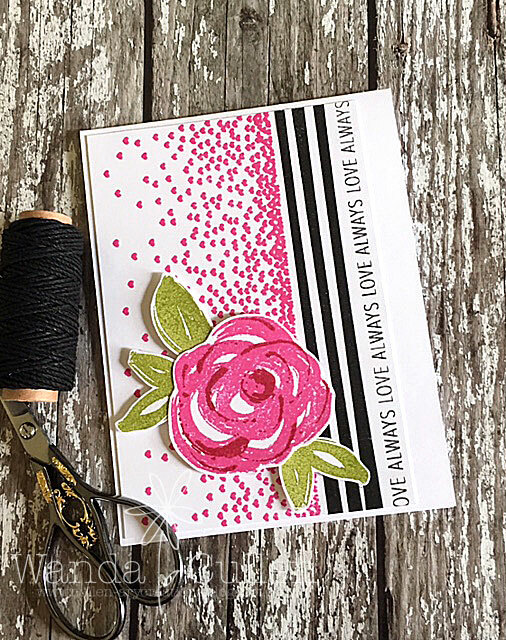 DIES: Class Act and Love Note (Reverse Confetti), Stitched Fishtail Flags STAX (MFT). MISC: Washi tape and Tim Holtz stapler. 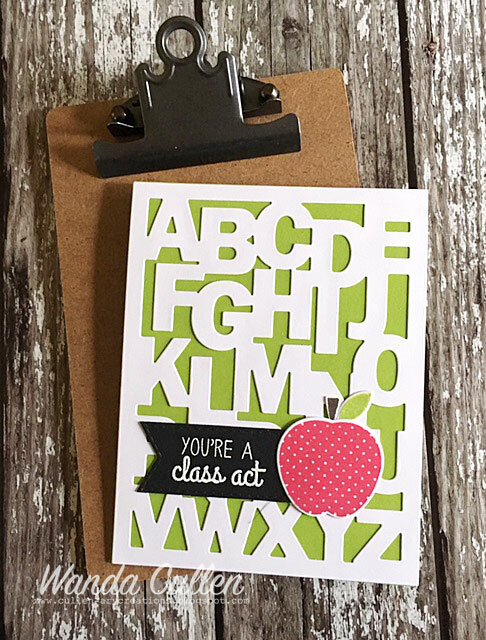 I thought my card would be a great addition to present a teacher gift. A simple and fun idea is creating a Rolo pencil! I made these several years ago and didn't have time to create a new one, so will add my old photo along with a link to the YouTube video instructions HERE. I had happy mail yesterday when my MFT order with the Which Way Is The Candy stamp set and matching dies that was recently revised and re-released came to my door! I had to get it inky right away so, I'm joining in with the current Freshly Made Sketches Challenge. 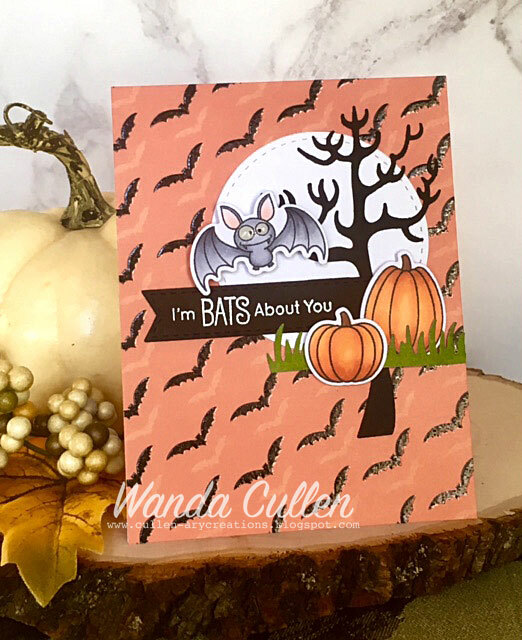 I started with the patterned paper that has glossy bats in the background. I used the tree from MFT's Spooky House Die-Namics and elongated it. The base of the trunk was initially hidden under the pumpkins, so I cut it and lowered the trunk. The images were colored with Copics and I added Glossy Accents to the bat's eyes (isn't he so adorable?!). It needed a little pop of green grass, so I tucked in some sections using MFT's grass border die. 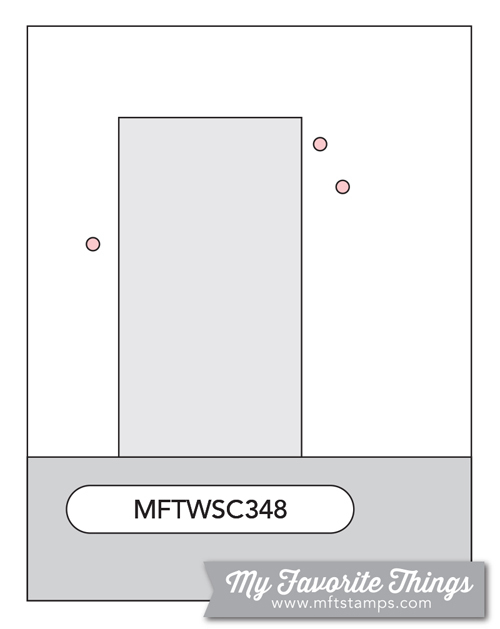 STAMPS: Which Way Is The Candy (MFT). PAPER: Halloween Basics (Recollections); Black, White (PTI), X-Press It Blending Card. INK: Memento Tuxedo Black; Versamark. DIES: Spooky House and Which Way Candy Die-Namics (MFT); Stitched Fishtail Flags STAX (MFT); Stitched Circle (Lil' Inker Designs). 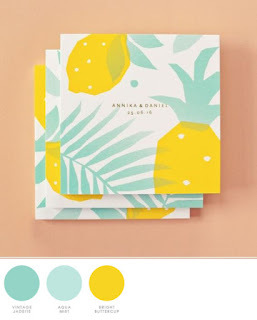 I used PTI's Harvest Gold, Tropical Teal and White cardstock. Since I don't have any of their inks, I chose similar SU colors to use: Daffodil Delight, Crushed Curry, Coastal Cabana, Bermuda Bay and Cajun Craze. I wanted a lot of depth to the sentiment, so cut 3 dies and adhered them together. A little jute twine and yellow sequins were the finishing touches! 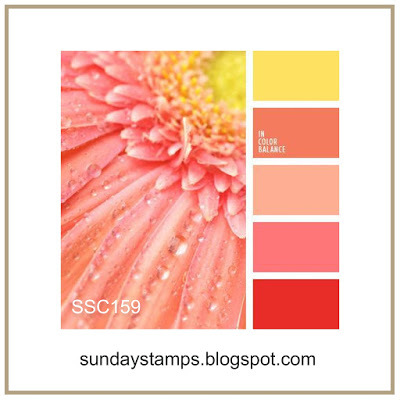 STAMPS: Rosy Posy and Rosy Posy Step 2 (PTI). 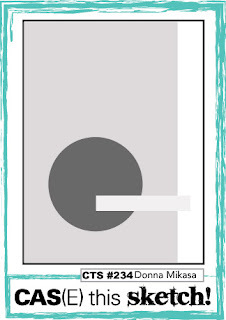 DIES: Just For You (PTI) and Noted: Scalloped A2 Vertical die (PTI). 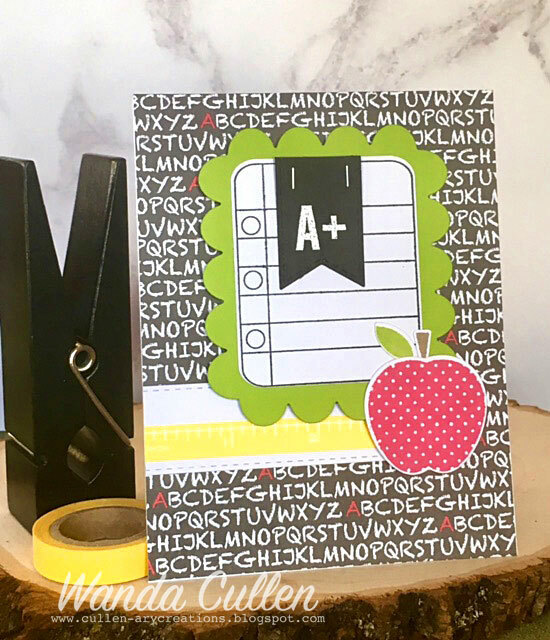 I'm playing along with the Simon Says Stamp Wednesday Challenge which has a Back to School theme this week. Our area in VA started school a couple of weeks ago which means some very hot bus rides for many! The positive side (according to some teacher relatives) is they like the earlier dismissal in the spring. STAMPS: Class Act (Reverse Confetti). PAPER: White (PTI), Licorice (MFT), Lime Green (Reverse Confetti. INK: Rose, Lime Green and Dark Roast by Reverse Confetti; Versamark. DIES: ABC Panel, Class Act - Reverse Confetti; Stitched Fishtail Flags Die-Namics by MFT. 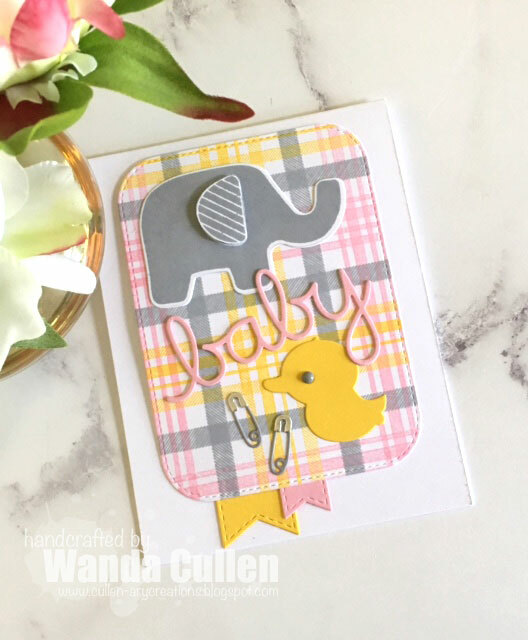 STAMPS: Beautiful Baby (MFT), Plaid Background Builder (MFT). 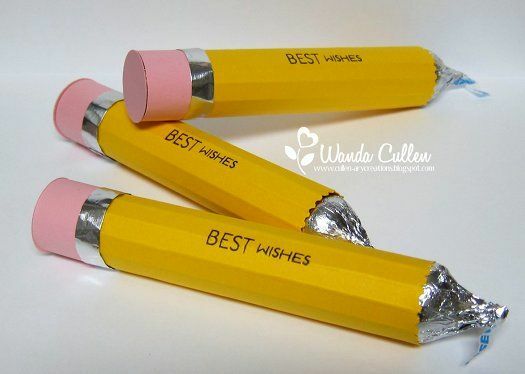 PAPER: Pretty in Pink (SU), Smoky Slate (SU), Bumblebee Yellow (Reverse Confetti), White (PTI), Shiny silver metallic CS. DIES: Beautiful Baby (MFT), Stitched Rounded Rectangles STAX (MFT), Stitched Fishtail Flags STAX (MFT), Oh Baby (MFT). We're happy to have Wendy Coffman joining us as the Guest Star Stamper this week! 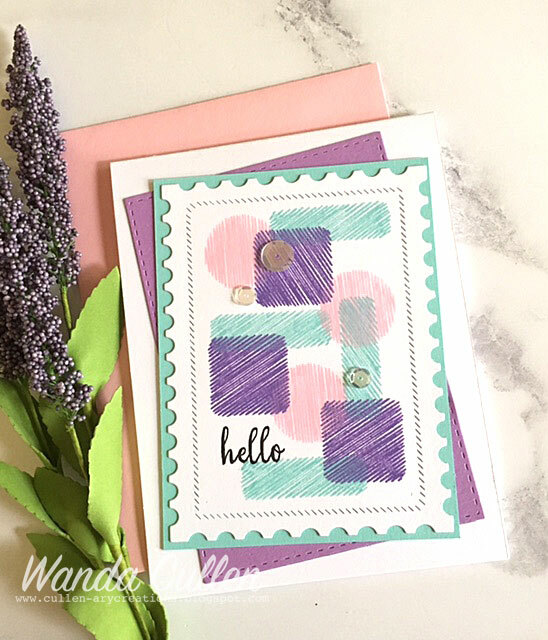 Take some time to say hello and visit her blog Stamping Rules! I created this card based on both the sketch and the colors in the inspiration photo for the current Fusion Card Challenge. I love this houndstooth patterned paper from Bazzill's Licorice 6x6 paper pad! 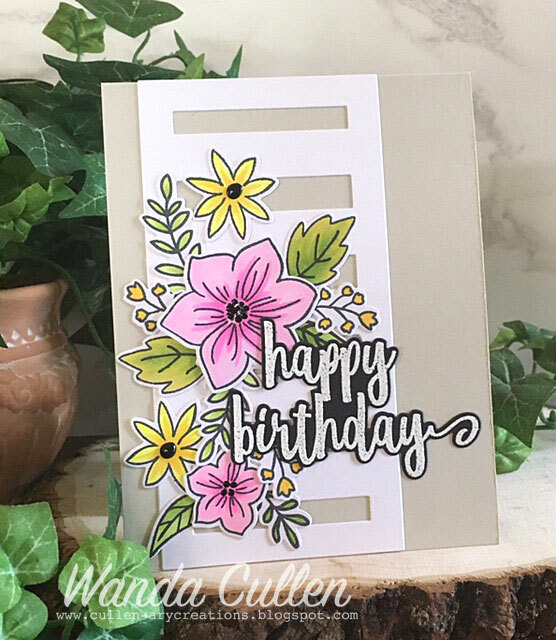 I paired it with a long neglected SU set called Fabulous Florets where I white embossed the images on Ranger watercolor CS then colored with Zig Clean Color brush markers and fussy cut. A very quick and simple card to put together! Hope you are having a terrific Tuesday! Yesterday, we had all the hype of the solar eclipse...a rather underwhelming yet wonderful event for our area which only saw an 86% coverage of the sun. The most surprising thing for me was that it didn't darken nearly as much as I expected. I was at work when it peaked around 2:40 PM and it was fun to gather with hundreds of students and staff at the vocational rehabilitation center where I work. NASA says we will experience another solar eclipse in 7 years, so here's to that countdown - lol! 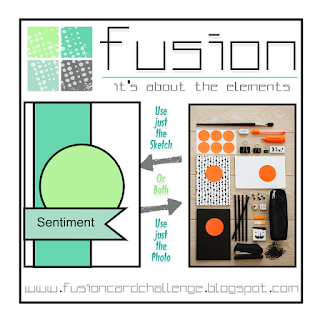 Chrissy Larson has a great new sketch over on the CAS(E) This Sketch challenge blog! Probably my favorite card layout is to do a collage in the lower right corner with L-shaped elements...this time I used black and white striped washi tape. I hope you're not tiring of seeing yet another of these brushed lettering sentiment stamps...I just love them! 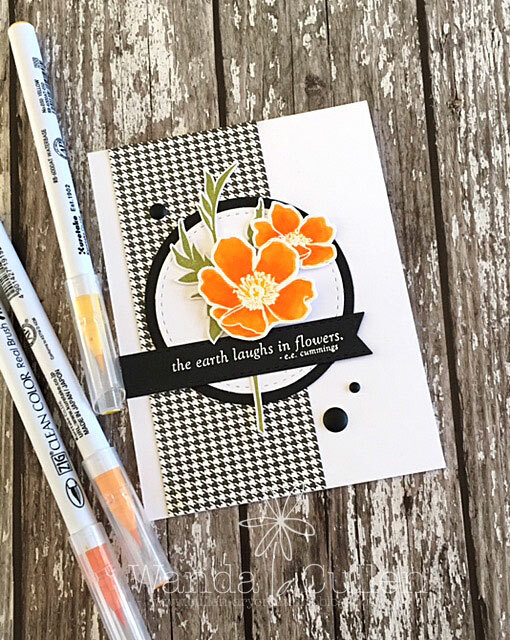 STAMPS: Sentiment Essentials and Blooms 'n Buds by Reverse Confetti. PAPER: White CS by PTI. INK: Iced Aqua, Lime Green, Bumblebee Yellow, and Tangerine by Reverse Confetti; Versamark. 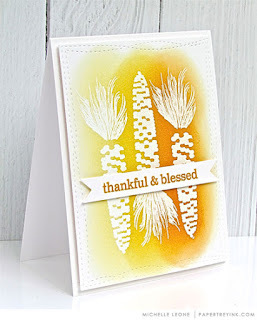 DIES: Blooms 'n Buds (RC), Stitched Rectangle by Lil' Inker Designs. 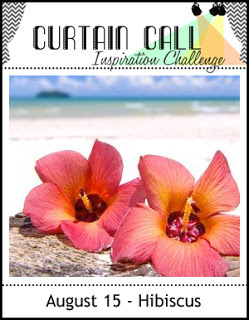 The new Curtain Call Inspiration Challenge has a Hibiscus theme going on, so I also went with the colors from the current Sunday Stamps color challenge for my card. 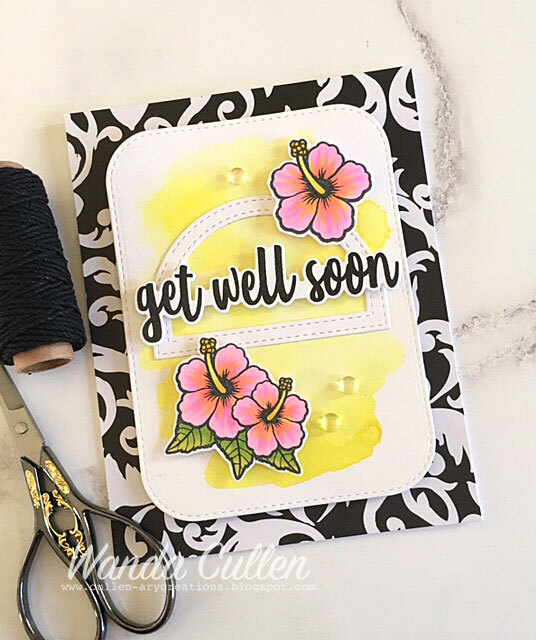 I knew I wanted to use Verve's Hibiscus Plain Jane stamp along with more florals from their Happy Days stamp set. I colored with Copics, fussy cut and popped with foam tape over a watercolored base using Mijello Mission Gold paint. I'm again using my new favorite sentiment set from Reverse Confetti (Sentiment Essentials). 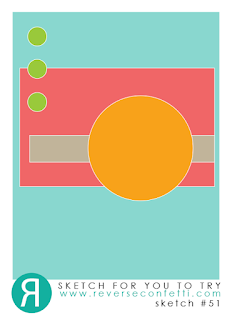 Initially, I placed the rounded rectangle panel over a white background which just looked too blah. 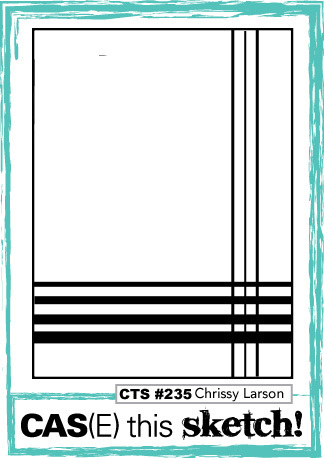 I then switched to using this black and white patterned paper by Recollections and thought it had so much more pizazz! DIES: Stitched Dome Frames and Stitched Rounded Rectangle STAX Die-Namics by My Favorite Things; Sentiment Essentials Confetti Cuts by Reverse Confetti. Hi everyone! 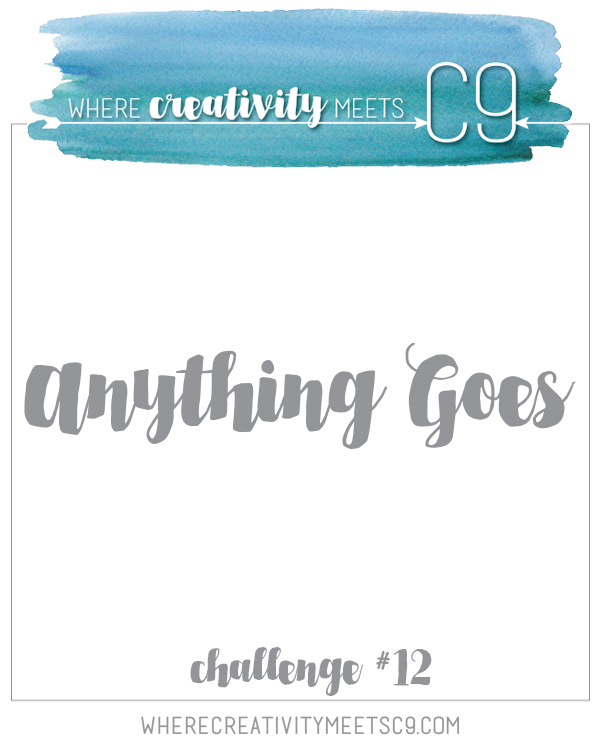 It's Wednesday and that means a new Color Throwdown Challenge is up! Lisa Henke is hosting the challenge and has this very pretty color combo of pink, yellow and green! This photo brings back great memories of our 3 children growing up and swimming in our pool every chance they got! 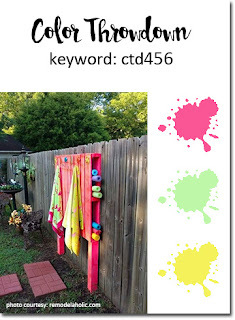 Towels hanging over the fence was a common sight! I'm fully aware that summer will be grinding to a halt very soon, so every chance I have to use flowers on my cards...I'm going for it! I love these Build A Bunch stamps from Reverse Confetti's July release! They're fun to arrange against the Tall Stripe Panel die that reminds me of a piece of lattice. 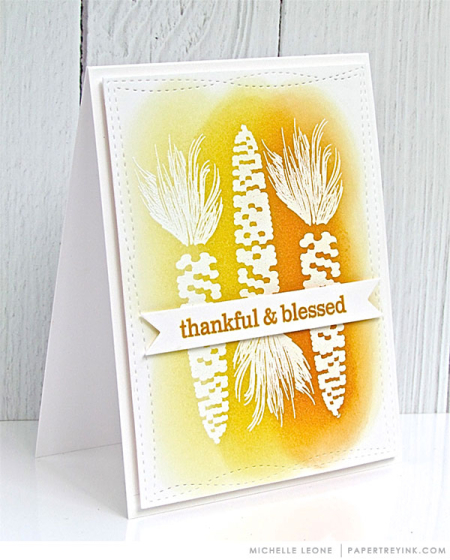 I used Reverse Confetti's Stone cardstock - a wonderful neutral shade - for the card base. I white embossed the sentiment from RC's gorgeous brush lettered Sentiment Essentials set. Coloring was done with Copics and the flower centers were highlighted with black Enamel Accents. 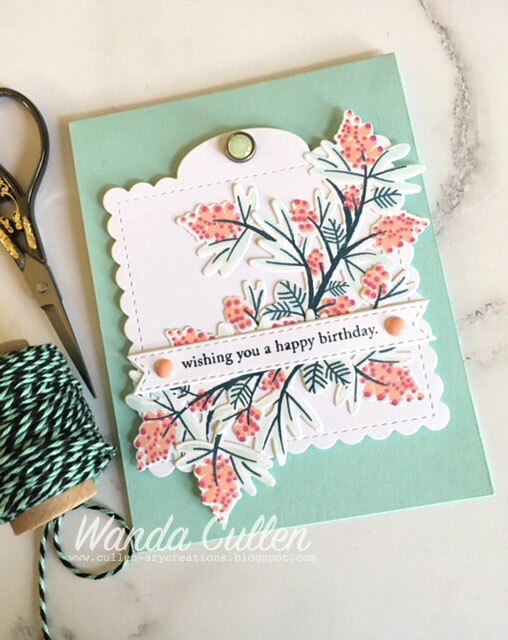 Congratulations to Elizabeth Stewart from the Paper Sweetness blog! She is our guest star stamper this week. 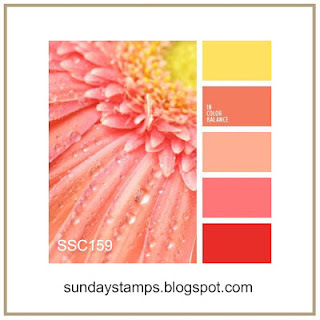 STAMPS: Beautiful Berries: Spring (PTI), Mat Stack 1 Collection (PTI - sentiment). PAPER: Aqua Mist and White (PTI). INK: Miami Spice, Flamingo, Sea Breeze, Siren Song dye inks by WPlus9. DIES: Tag Sale: Quilted Die (PTI); Beautiful Berries: Spring (PTI). Hope your Monday is going well! I'm looking forward to a day off after working the weekend! Have you played along with the current colors over on the Color Throwdown Challenge blog? 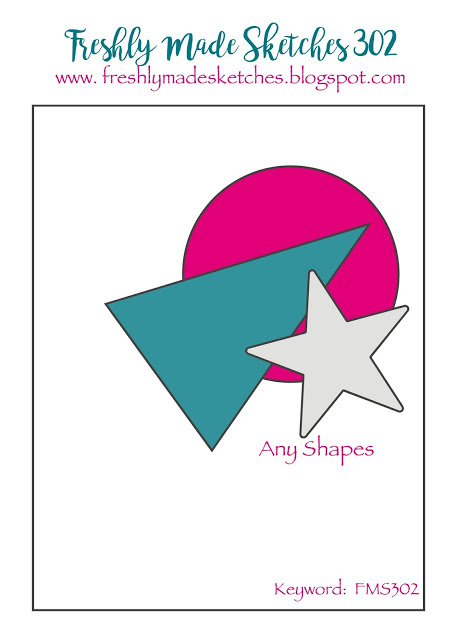 I made a second card using Jodi's colors: aqua, light pink and lavender. I had cut several of PTI's new Mix and Mat: Postal Die, so it was begging to be used! Stamps are from WPlus9's Greetings and Salutations stamp set. Angled layers always add a fun bit of interest to a card design IMO! Thanks so much for stopping by...TGIF! stamped the large rose (Picked Raspberry distress ink and Rose Red - SU) and leaves (Lucky Limeade - SU) from C9's Hope stamp set. The MISTI was a lifesaver to stamp the large falling hearts, stripes and sentiment stamps. Gotta run...need to head out to work shortly! Have a terrific Thursday everyone! 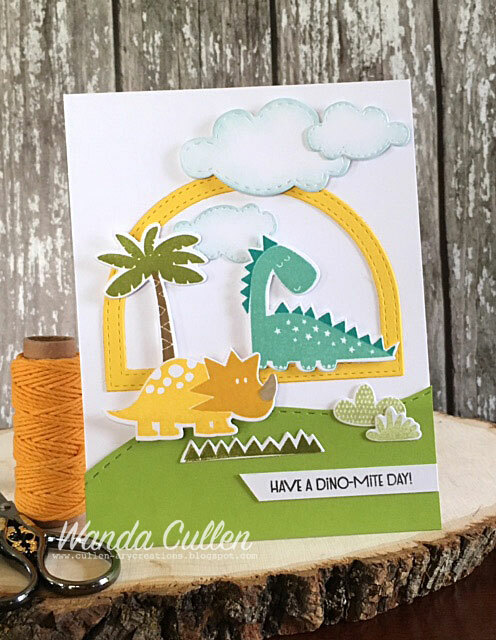 I couldn't resist ordering this Hello Dino stamp set with matching dies from Lil' Inker Designs' August release! I will probably use this for my granddaughter who turns 3 next month and she's loving anything dinosaur related! I'm entering this into Simon Says Stamp's Wednesday Challenge where the theme is to create for a child. STAMPS: Hello Dino (Lil' Inker Designs). PAPER: Bumblebee Yellow, Lime Green (Reverse Confetti); White (PTI). INK: Coastal Cabana, Bermuda Bay, Daffodil Delight, Crushed Curry, Crumb Cake, Lucky Limeade, Old Olive, Certainly Celery, Baked Brown Sugar, Soft Sky - all by SU. DIES: Hello Dino and Stitched Clouds (Lil' Inker Designs); Stitched Dome Frames (MFT). Happy Wednesday! It's time for a new Color Throwdown Challenge and Jodi is hosting this week with the following yummy color palette: aqua, light pink, lavender and white! STAMPS: You by The Stamp Market. PAPER: Ranger watercolor CS; Iced Aqua (Reverse Confetti) and White (PTI). INK: Peacock Feathers, Wilted Violet, Spun Sugar distress inks by Tim Holtz; Iced Aqua, Grape Soda, Piggy Bank dye ink by Reverse Confetti. 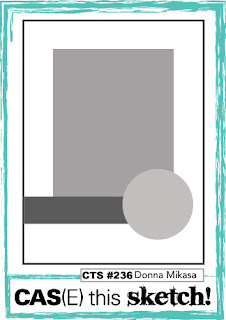 DIES: Noted: Scalloped A2 Vertical Die by PTI; You by The Stamp Market. Congratulations to our guest star stamper this week - Lucie from LucieG Cards! Be sure and stop by her blog to say hello! 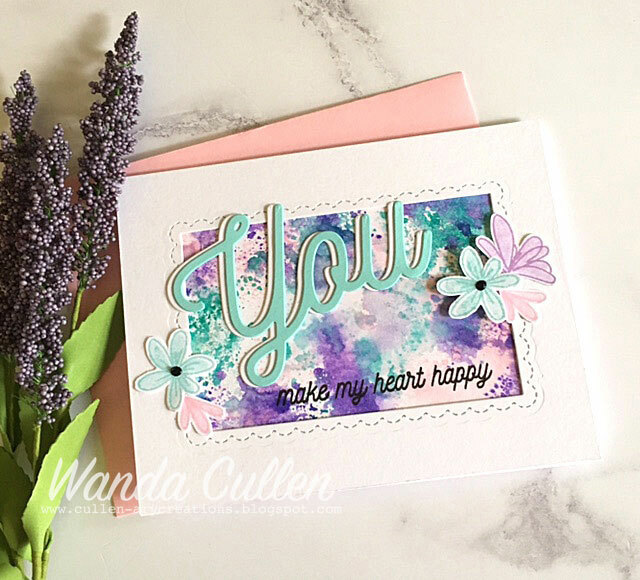 The August sketch for Reverse Confetti's Sketch For You To Try challenge was perfect to color up this sweet image from their Lift Me Up stamp set! I colored with Copics and layered it over a Lacy Scalloped Circle die. 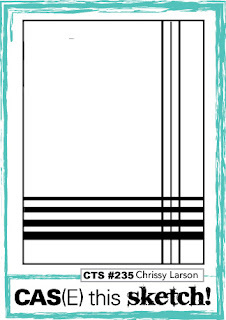 The horizontal element - stamped in Lime Green dye ink by RC - is a border from RC's Elemental Stripes set. I punched out circles from one of the patterned paper designs from RC's Pattern Play 6x6 pad. Flat black enamel dots were added to the centers. I subbed a Pierced Round Top Layer die instead of the rectangle element. Thanks for visiting and hope you come back tomorrow to check out the new colors for the Color Throwdown Challenge!